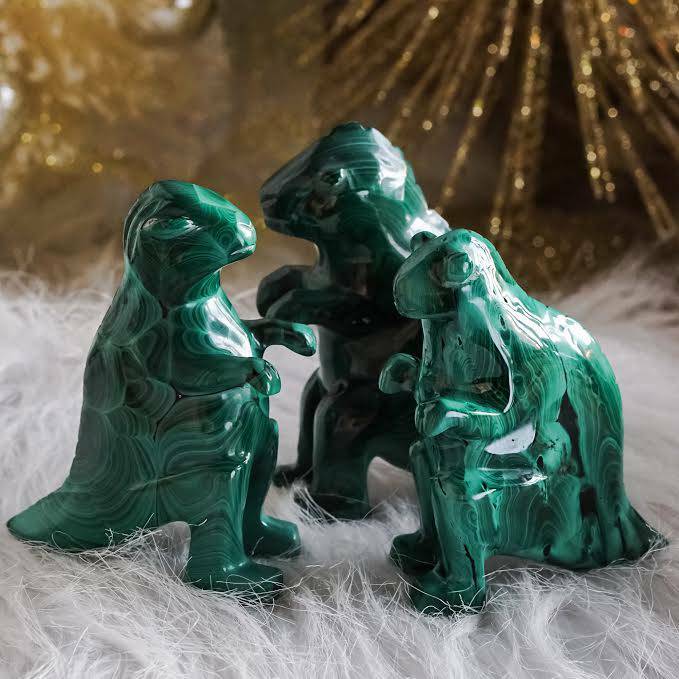 Make 2019 a year of incredible prosperity with my Trio of Abundance! 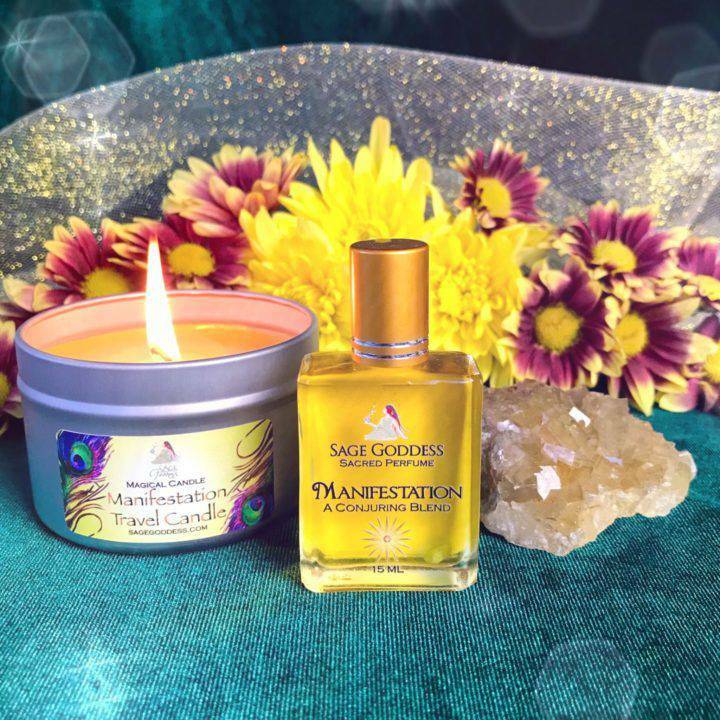 Complete with a Manifestation Candle, a bottle of Manifestation Perfume, and a gorgeous yellow fluorite specimen, this offering will help you call in all of the wealth and success that you desire and deserve. Use these tools to create your own manifestation altar, or gift one to a friend in need of a boost of abundance-attracting power. 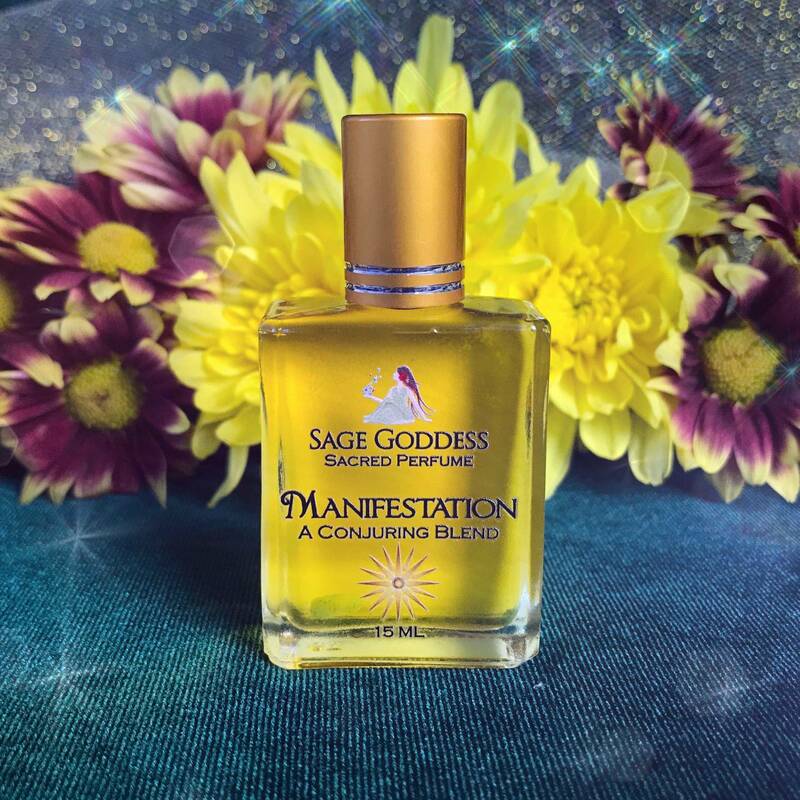 One (1) 15 ml bottle of Manifestation Perfume. I created this fragrance to be a source of great motivation and willpower. 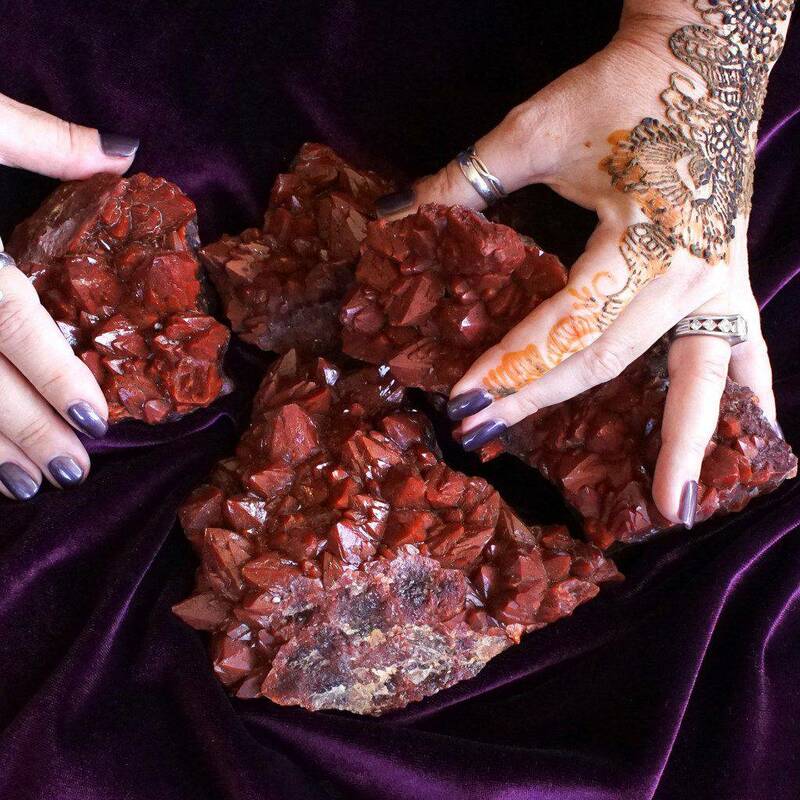 Infused with frankincense from Algeria, Australian sandalwood, and other high-quality attars, absolutes, and oils, this blend will help you focus your mind, body, and spirit on achieving whatever goals you hold deep in your heart. One (1) Manifestation Candle. Hand-poured right here at SG Headquarters with gorgeous golden wax, my Manifestation Candles are infused with my Manifestation Perfume. 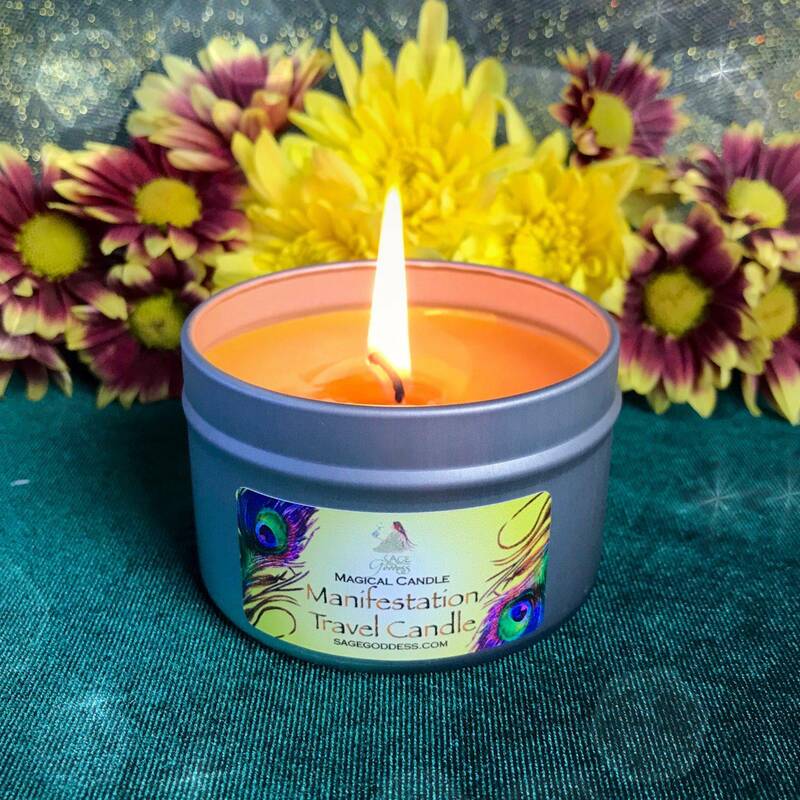 Light your candle as you focus on your visions of abundance and prosperity. Meditate on its flame as you ignite your innermost confidence and will. One (1) yellow fluorite, with gorgeous cubic formations. 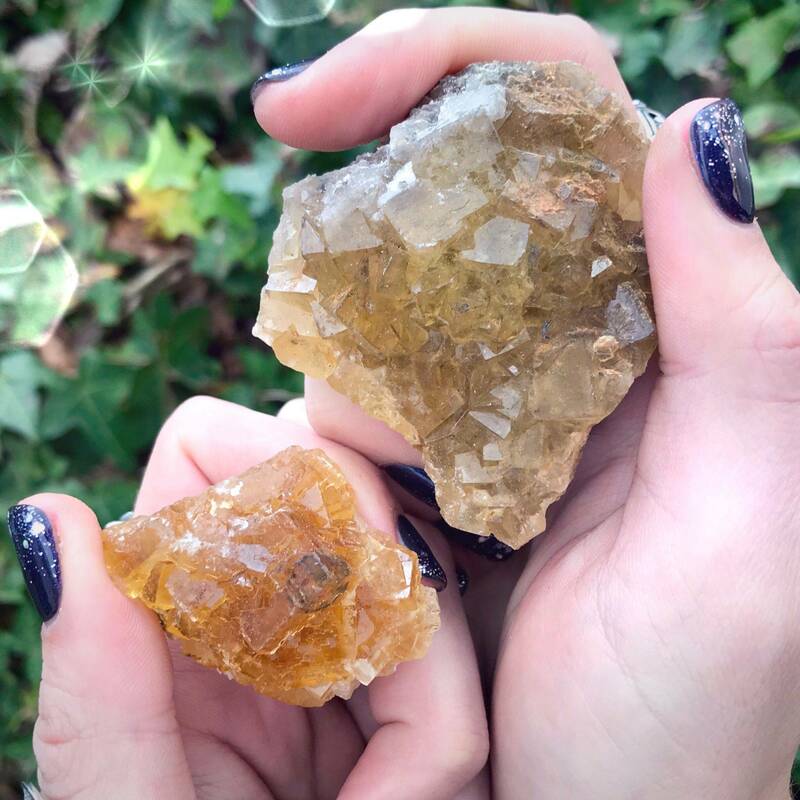 A rare stone of the Golden Ray, yellow fluorite activates your Solar Plexus Chakra, filling you with power and possibility. It attracts resources to you and helps you manifest your visions. When working with this stone, be clear about what your desire – it requires precision of vision in order to work on your behalf. 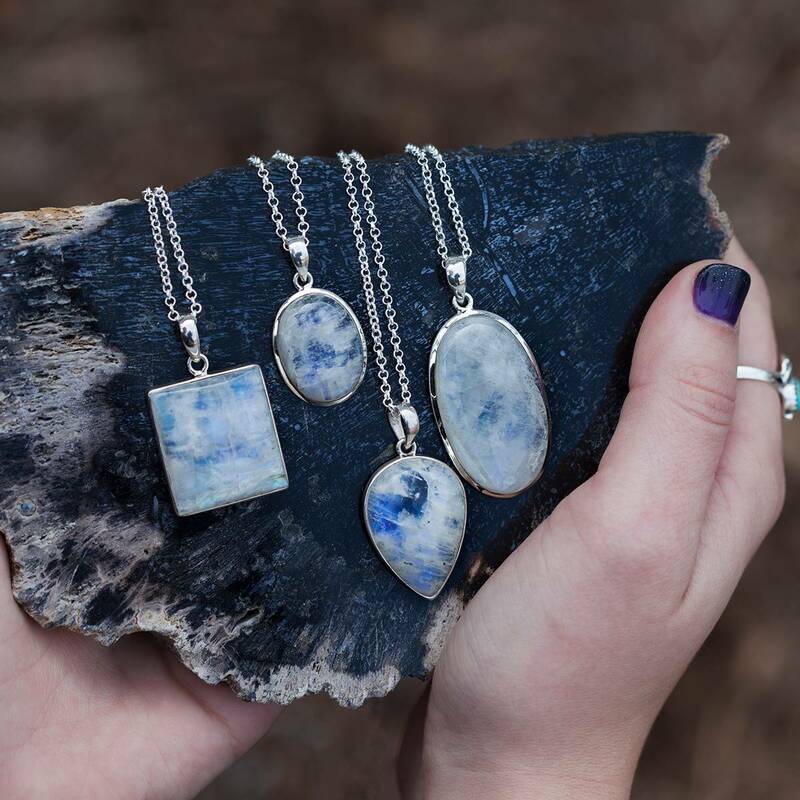 These yellow fluorite gems are natural pieces and may contain other magical elements – including pyrite, calcite, quartz, and more. This listing is for one (1) Trio of Abundance as described above. I have two sizes of yellow fluorite to offer you: Small (about 1-2”) and Medium (about 2.5-3.5”). Please select the size that calls to you from the drop-down menu. Yours will arrive lovingly parceled along with a single leaf of white sage and a card describing the properties of the stone. Note: This product is made with natural essential and carrier oils and may contain fragrance oils. Cap color, chip stone, and color may vary slightly. For external use only. Please always burn candles on a heatproof stable surface, and never leave a burning candle unattended.